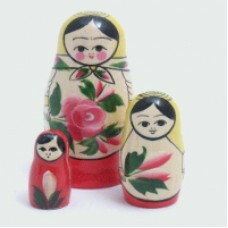 High quality Russian Dolls in a variety of sizes. 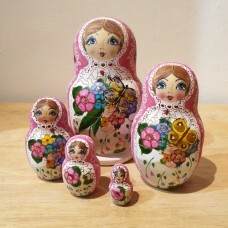 Every set of dolls was made by hand in Russia and has been imported by us. The artists were paid directly for their work by our agents in Russia and we work on the principles of "Fair Trade". All UK import duties and taxes have been paid. 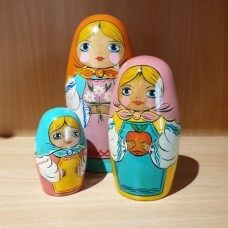 the dolls are mostly arranged by the number of dolls in each set although there are some specialist Fairy story dolls and some extremely "high end" dolls shown separately. 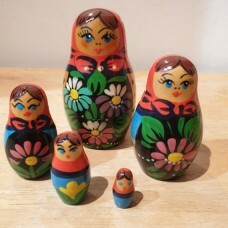 This is a splendid set of Russian Dolls from St Petersburg. 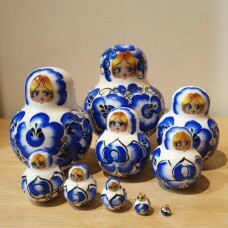 Each piece has the same level of d..
Super bright white gzhell style set of nesting dolls - detail down to the smallest piece. Larg.. 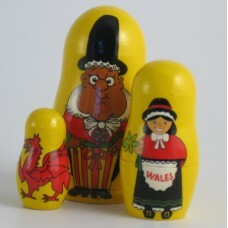 This is a collectable item - A set of three pieces with the old style shape of Russian dolls. 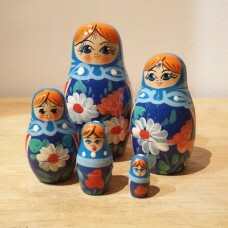 Made i..
Small (7cms) Russian Doll with three pieces. Nice stocking filler! 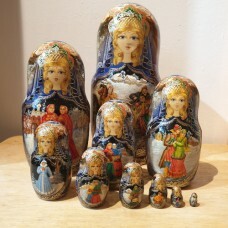 each doll as th..
5 Piece Hand Painted Russian Doll "Autumn Children"
Exceptional quality Russian doll of 5 pieces. 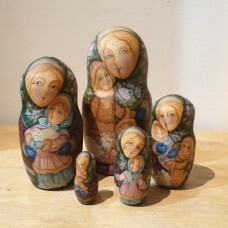 Painted in Moscow by Lydia Kupsova in watercolou..
An unusual set of 5 dolls painted in great detail with a high gloss finish. largest doll is ab..